U.S. Army photo by Spc. 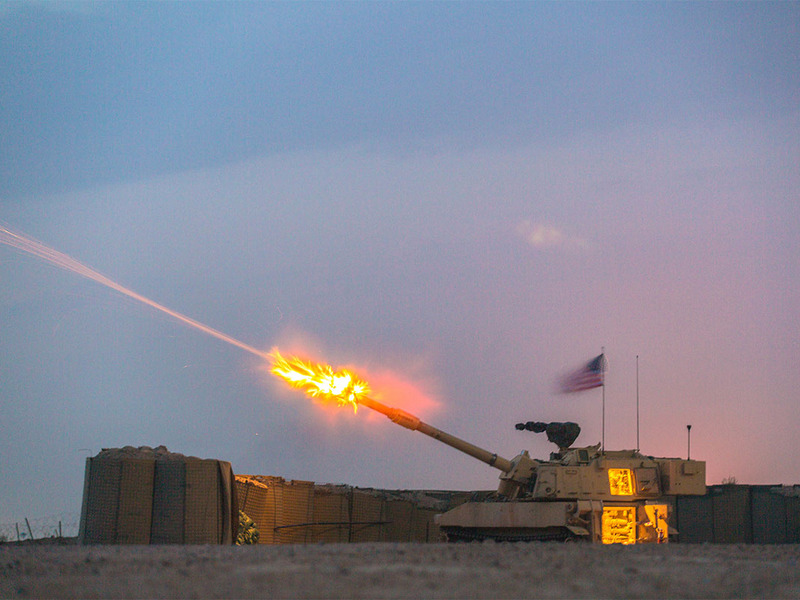 Christopher BrechtA US Army M109A6 Paladin in Iraq in 2017. The US Army is undergoing its largest modernisation program since the 1970s, Secretary of the Army Mark Esper said at the Association of the United States Army’s conference on Monday. The Army Futures Command is a new command designed to expedite next-generation weaponry and prepare the Army for wars against formidable opponents. While the US focused on counterinsurgency capabilities, Russia and China pursued long-range standoff weapons, said Gen. John M. Murray, the first head of the Futures Command. Now the Army is investing heavily to ensure the US can maintain overmatch against its strategic rivals. The head of the US Army’s new four-star command for the development of next-generation weapons identified Russian and Chinese advances in weapons as motivations for some of its projects in the works, including a long-range cannon that could strike targets nearly 40 miles away. “That is a big piece of it,” Gen. John M. Murray, the first head of Army Futures Command, a new command designed to prepare the Army for wars against formidable opponents, said Monday at the Association of the United States Army’s conference in Washington, DC, where Secretary of the Army Mark Esper earlier said the branch was undergoing its largest modernisation program since the 1970s. An interest in standoff weaponry has also been seen in Russian and Chinese research into air-to-air missiles intended to eliminate vulnerable aircraft supporting the US’s F-35 Joint Strike Fighter and enhance each country’s anti-access, area-denial capabilities. “Those were the capabilities that we didn’t walk away from but kind of mortgaged over the last 17 years to do the counterinsurgency fight,” he added. Murray pointed to the Extended-Range Cannon Artillery program, part of the priority long-range precision-fire project, as one that changed based on lessons learned from Russia and China. Murray explained that while the US maintained a competitive edge in quality of artillery, Russia had a notable advantage in quantity and range. But he said that’s changing as the Army adapts to new security challenges from peer and near-peer competitors. “We just doubled the range of our cannon artillery last week, demonstrating that at the Yuma Proving Grounds,” Murray told reporters, adding that the cannon fired a shell roughly 62 kilometers, or about 40 miles. The Army isn’t stopping there. Testifying before Congress in September, Murray said the Army was pursuing a strategic cannon that could fire on enemy positions as far as 1,000 miles away. “We are looking very hard and starting down the path of hypersonics and also looking at what we call the Strategic Long-Range Cannon, which conceivably could have a range of up to 1,000 nautical miles,” or about 1,150 miles, he said, according to Military.com.